This Antibacterial Surface Cleaner provides a powerful clean and removes all types of germs from hard surfaces. This is an easy to use cleaning product that kills MRSA, Listeria, Ecoli and yeast, as well as being tested to EN1276 and EN1650. It is ideal for use in commercial kitchens, but is equally suitable for use in private homes. The Antibacterial Surface Cleaner is available to buy as a single product or as part of a bulk buy option. Green, rubber household washing up gloves. Available in different sizes. 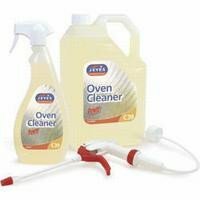 A highly effective oven cleaner by Jeyes, supplied in a 750ml spray bottle for easy application. To be used on cold ovens. 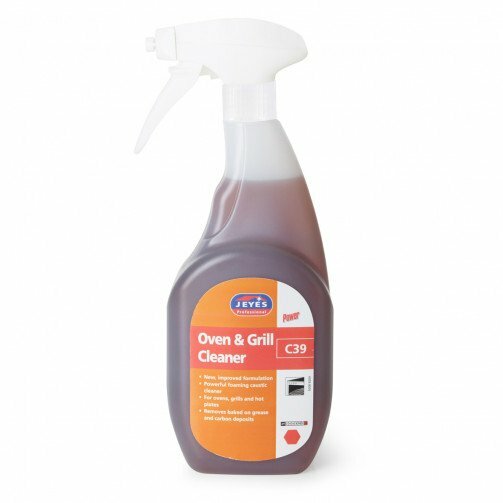 A very easy spray cleaner to use, simply spray an even layer of the product onto soiled oven surfaces and after the appropriate application time as detailed below, wipe off with a clean, damp cloth. Then rinse thoroughly with warm water. Cleans light grease in just 3 minutes, heavy grease in 30 minutes. For baked on deposits this oven cleaner can be left to work for as long as 12 hours. Ideal for all kitchen and domestic ovens.